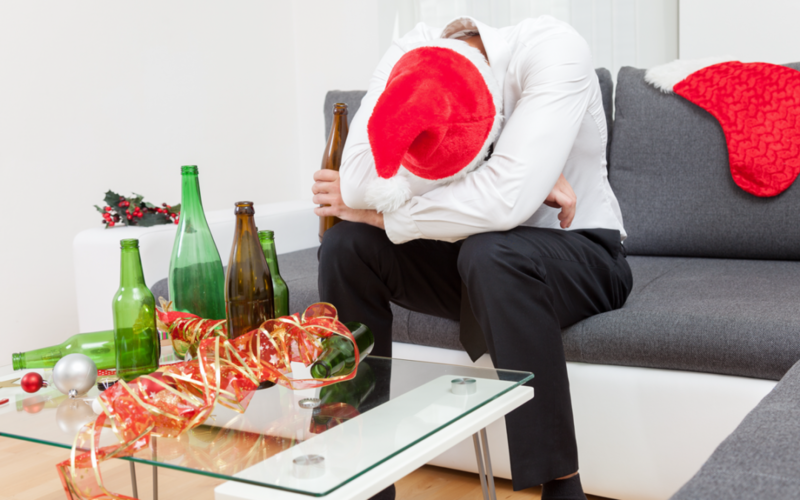 Holiday Hangover & How It’s Impacting Your Office | Be.Lead.Grow. Although the New Year has begun and many resolutions have been made with cheer, we must be aware of what recently occurred for many of your employees. As we know, for many the holiday season means cheery disposition, overly enthusiastic welcoming hugs and an all-around more joyous and happy state of mind. But for many others, the holidays can be a dreaded time of year that can bring about isolation, illness and additional anxiety. It is not uncommon for many individuals who work to want to see the holidays over and forgotten just as quickly as they arrive. For many employees and workers they tend to fall on the stressful side on the spectrum. With end of the year reports being due, evaluations, additional sale demands to meet and more overtime to be worked it is a lot to digest. Aside from all of the additional work stress, there are also a number of personal situations that become heightened and more obvious around the holidays. This can have a HUGE impact and influence on their performance and work. Adjusting to new roles in personal and professional life. In addition it is very common for individuals who are hired for seasonal work, have been temporarily re-located to another city/state/country, newer employees in an office or work environment or those who just have little to no family close by for the holidays to isolate themselves from the rest of the staff and their work and experience an even heightened level of depressive symptoms. Work will begin to fall below the set standard and or their norm. There may be an increase in absences. There may be a loss of focus or motivation. As shown above, Holiday Imposed Depression shows a number of the same symptoms that general forms of depression would cause in individuals. There can be some warning signs that you may be able to address before the behavior becomes out of control. BE PRESENT… Listen and keep your eyes open for these forms of shifts in your colleagues and employees. WHEN YOU HEAR: Complaints of frequent headaches and or a lack of being able to get sleep YOU CAN ask if they are okay and allow them to discuss the source of their pain. WHEN YOU SEE: A lack of interest in their work and particularly portions of their role that they would generally enjoy YOU CAN ask if there is any cause for the shift that they would like to discuss and/or ask what section of the project they would prefer to work on at that time. WHEN YOU SEE: Performance begin to take a negative plunge and assignments are either not turned in, have poor quality of work, and/or the employees are consistently coming in late etc., YOU CAN reiterate expectations with a supportive tone and ask if any additional assistance is needed at this time to ensure their success. WHEN YOU SEE: Displays of anger via outbursts or rage, acting out of character, negative self-talk and/or consistently blaming others YOU CAN acknowledge the deficits and provide positive solutions and/or variations in viewing the scenario. This allows for validation and reminding them that they are not alone while also taking them on a path to a solution. WHEN YOU KNOW: Individuals have recently lost a loved one or lost a loved one during this season in the years past and are coping with a loss YOU CAN reiterate your condolences and ask for what forms of support they need. Though it may be difficult for most to “barge” into an employee’s personal life when it comes to addressing their behavior it is necessary. For the most part the best way to help individuals cope with the holiday depression is to provide them with the tools to work through it and this includes leaving your door open to talk and come up with an effective plan to help them. If you see more and more of your staff or employees are suffering from these behaviors around the holidays you will want to quickly evaluate the work environment and see what changes can be made to reduce the stress, anxiety and boost the morale in the office. Lastly, we want to ensure that staff are aware of Employee Assistance Programs (EAP) and other support groups for mental health and wellness and substance abuse that are offered through your company and or your partners. Be sure to share this information to ALL staff as some staff may not respond as clearly as listed above, however they may also need access to the available resources.